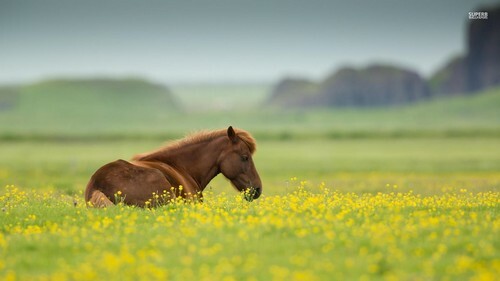 Horse. . HD Wallpaper and background images in the farasi club tagged: photo horse. This farasi wallpaper contains mtongotongo and spurge. There might also be buttercup, butterflower, siagi maua, crowfoot, goldcup, kingcup, baridi jimmy, jasminum nudiflorum, and baridi hunitumia.